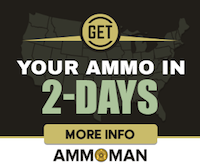 Only 69 days left before Boomershoot 2019. 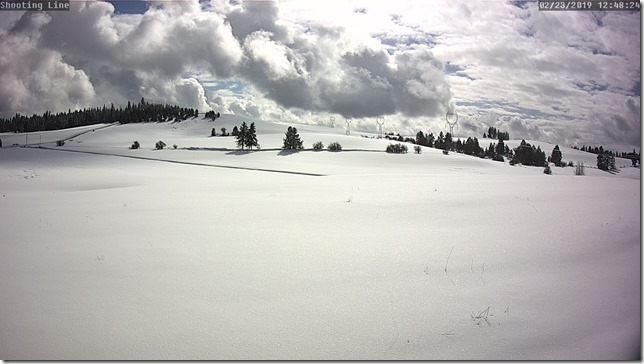 That plenty of time for the snow to melt but not that much time to make all your preparation for long range precision rifle shooting at highly reactive targets. It’s going to be a great event this year with lots of explody goodness. Just today I bought almost all of the remaining chemicals needed. 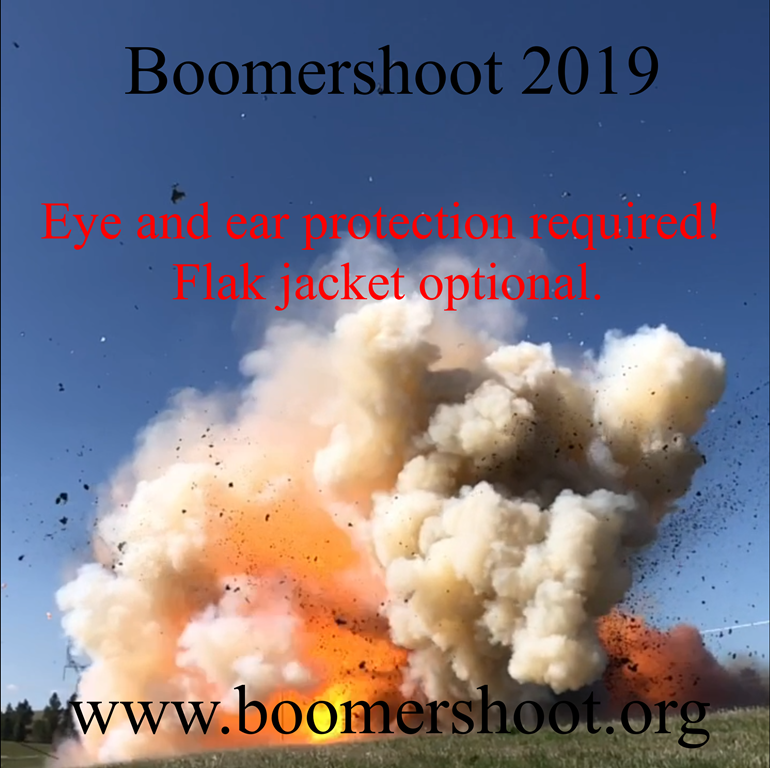 Boomershoot 2019 is currently 57% full. Sign up now while there are still positions left. Repeal all gun laws. We can prevent gun violence if we stop prohibiting non-violent people from getting guns. Gun control only hurts law abiding citizens. How can tragedy resulting from gun violence be prevented in the future? Parkland survivors and other March for Our Lives organizers have been registering young people to vote and advocating gun-control in a nationwide tour, what would you want to say to them? If I had to say something to them, it would be come and take it. I believe this was west of Colfax on Highway 26. We found the clouds quite pretty. This is the lentil field just south of Boomershoot Mecca. I”m planning to repair these steel targets at the tree line before Boomershoot 2019. 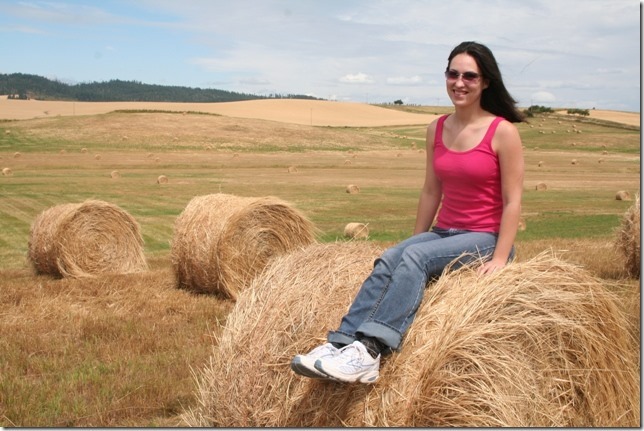 Another view of the hay bales with the shooting line in the background. For many years Barb had digestive issues with wheat. Those issues mysteriously went away a few months ago (Barb is skeptical of my suggestion it was Dr. Joe’s cure for everything, and I’m skeptical of her hypothesis of a spiritual/energy something or other healing). Here we have her next to a field of Huffman Wheat. Boomershoot 2019 entry opens soon! After some discussion and a few behind the scenes changes Gene Econ and his crew will again be adding to your Boomershoot experience. As far as participants are concerned there will be no visible changes from what you have enjoyed in previous years. Learn about Boomershoot. Then sign up for our next event! Registration opens for staff 5/19/2018 9:00:00 AM Pacific Time. Registration opens for previous year participants 5/23/2018 6:00:00 PM Pacific Time. Registration opens for everyone 5/27/2018 9:00:00 AM Pacific Time.